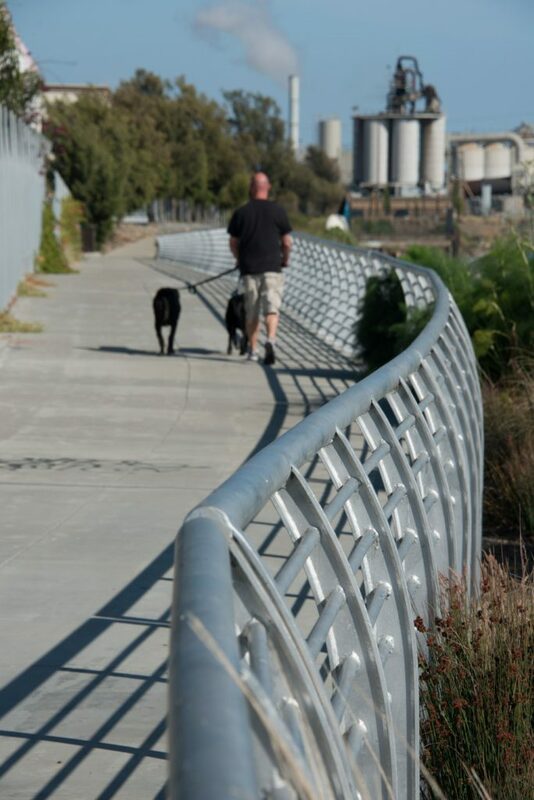 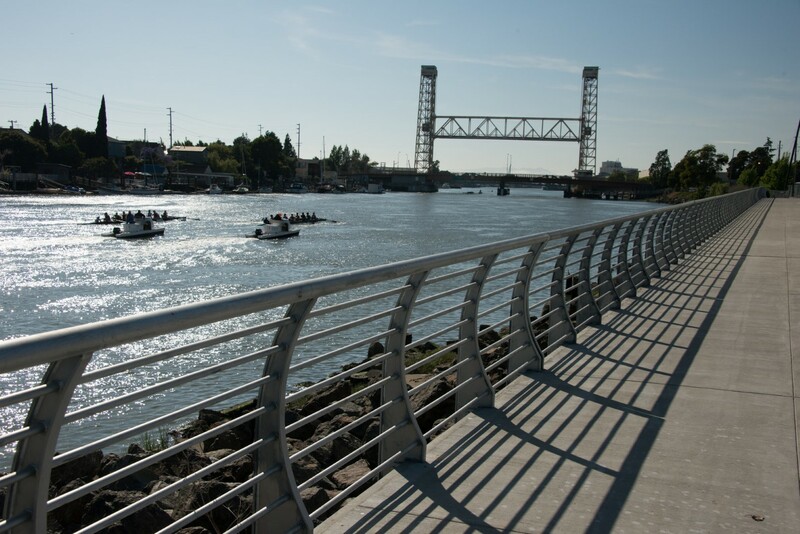 This 400-foot trail is a short but integral section of Oakland’s waterfront trail. 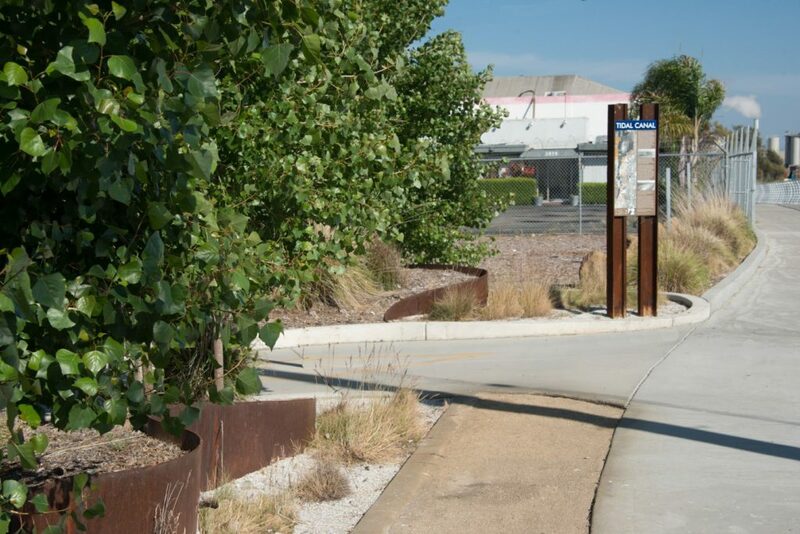 It connects two significantly different and larger segments of the Bay Trail along a previously thought impassable shoreline. 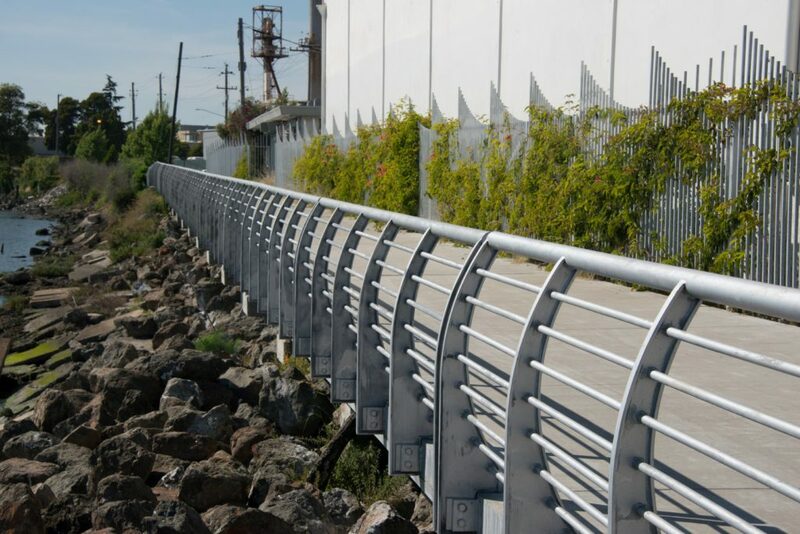 The trail currently being completed transforms a collapsed seawall and graffiti-riddled shoreline behind industrial buildings into an aesthetically pleasing and safe community waterfront promenade that will rise above and straddle the shore, maximizing views, integrating and connecting two very different trails. 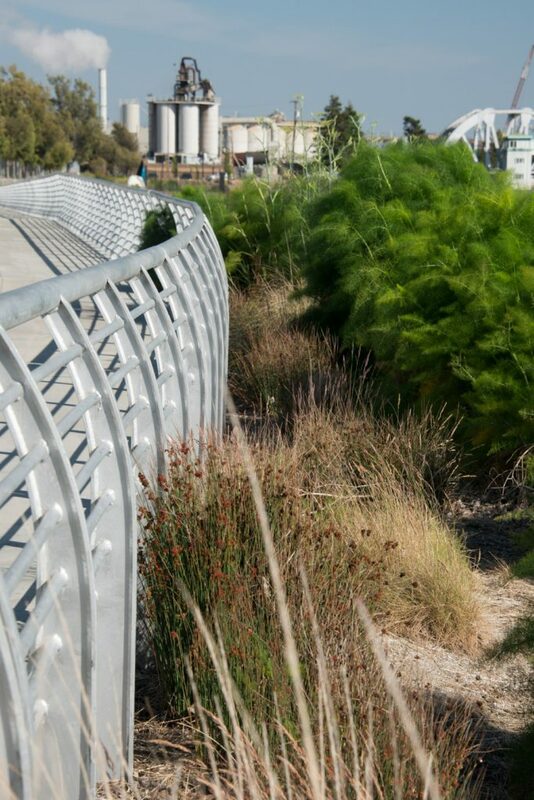 The result included a well-proportioned steel guardrail for resting and viewing the estuary, minimalist swathes of native grasses, open branching grees to maximize views, and a subtly modulated corten steel-edged berm at the entryway.